Vocal Athlete Intensive - Your Voice, Five Days. Results. Confidence. Mastery. Five (5) Day Vocal Intensive to ACHIEVE YOUR VOCAL POTENTIAL with Robert Lunte & Draven Grey. Take ownership of your voice with hands-on, results-driven coaching. You will learn the top tested exercises and get the feedback for doing them correctly. Get behind the mic knowing exactly what to do and how to do it. Sing with confidence from a solid vocal foundation with a performance that is uniquely you. Achieve your vocal potential. With a proven pedagogy for modern singing, we will show you the way out of vocal frustration into mastery. 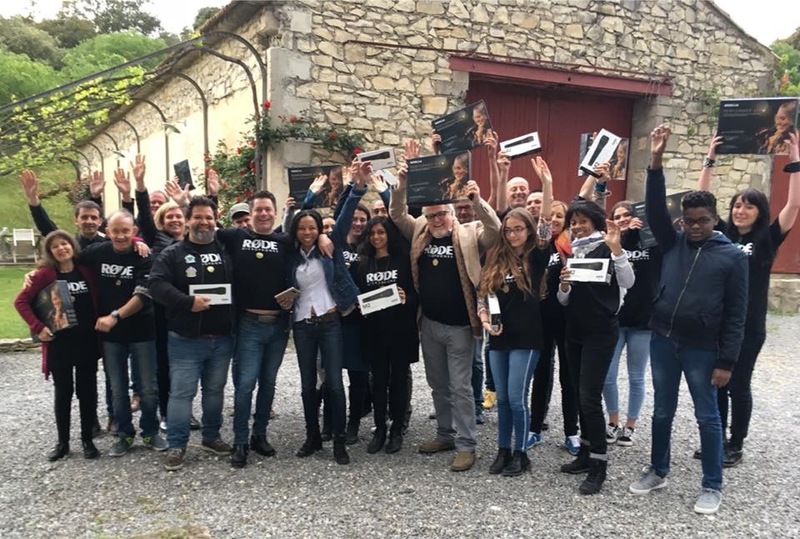 Study with Robert Lunte, Founder of The Vocalist Studio, author of critically acclaimed vocal training system The Four Pillars of Singing and internationally recognized voice training school for hundreds of voice coaches. Draven Grey is an accomplished musician, vocalist, rock singing teacher and music industry expert. 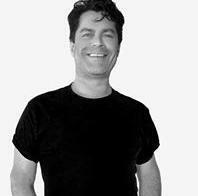 He has coached bands across the world in their careers, released multiple books and course on the music industry. Already have five attendees and we are still getting launched. 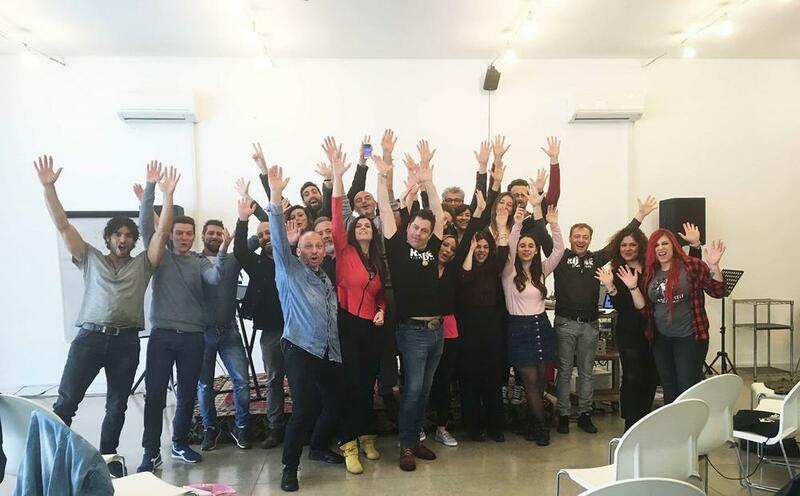 Its gonna be exactly what the voice training world and students need. No more confusion. Verifiable, tangible results. 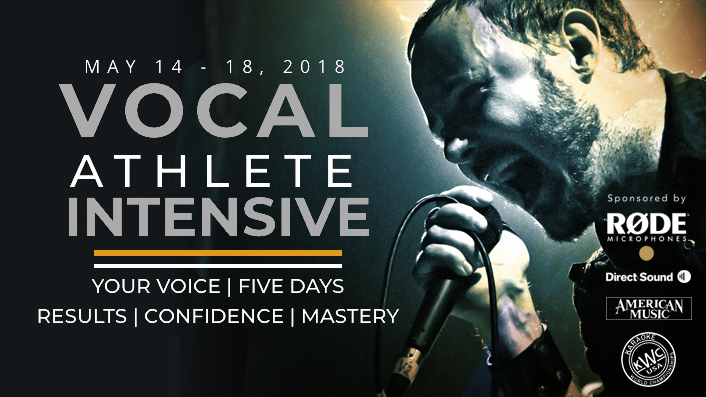 Along with our current registrants, the next 10 registrations for the Vocal Athlete Intensive receive a RØDE Wireless Performer Kit, a $500 value! * What else do you get when attending the event? * A week of intensive voice training with Robert Lunte and Draven Grey, giving you results, confidence, and mastery. * Attendance is limited to 20 people, which means lots of personal attention! * Spend the week in beautiful and musical Seattle. 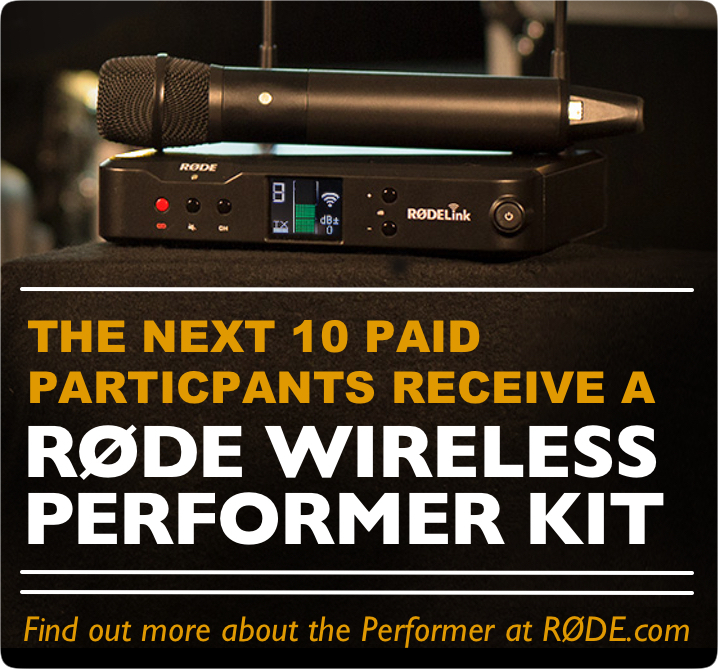 * AND get a RØDE Wireless Performer Kit worth $500! When are you signing up? Our limited registrations are going fast, so register now! 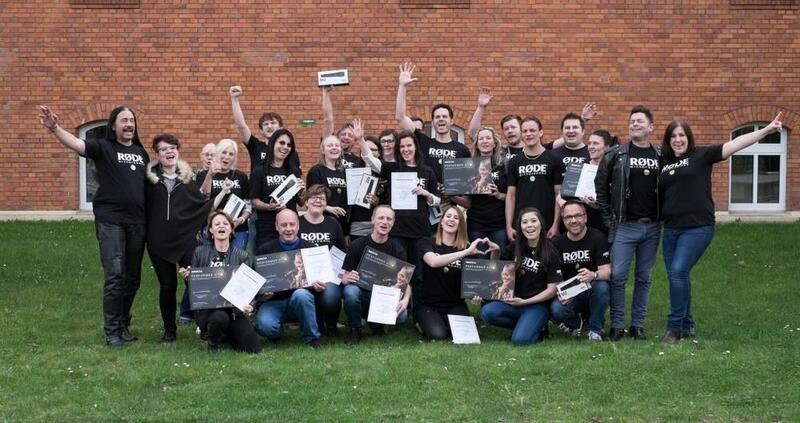 20 new RøDE M2s for the 5 day vocal intensive in Seattle, on May 14th - 18th. The RøDE M2 is one of the industries leading handheld, live condenser microphone. Each attendee at the Vocal Athlete Intensive will receive a free Performer M2. Click this link to get a free singing course and more details. Only one day left to register!! 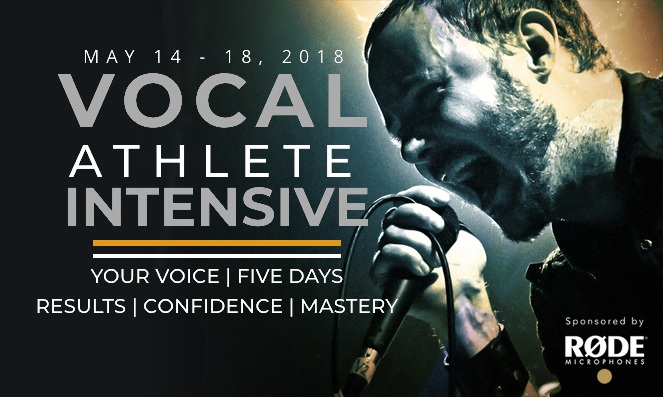 There's only one day left to register for the Vocal Athlete Intensive! That means only one day to get your RØDELink wireless mic, Direct Sound headphones, and thousands of $$$ worth of vocal training! There are still a few 2-day spots left as well: A power packed foundations on Monday and Tuesday, to demystify your singing and truly take your voice to the next level; or a TVS Student special for Wednesday and Thursday, where you solidify your training routine, learn more about vocal effects, join us for a special presentation by RØDE Microphones, visit Ann Wilson's studio with us to learn about recording, and spend an evening with us singing Karaoke! All that and a special presentation about performance on Friday by the Director of Karaoke Works Championships USA, Joshua Baron, joined by two world Champions! What's holding you back? Is there anything we can help with? Message us and let me know if you're interested in the 2-day TVS Student registration. We have a special promotional code, just for you. We hope to see you next week! Until then, please enjoy the attached images of the European Masterclasses that have been leading up to the Vocal Athlete Intensive. However, some of our sponsors are still offering full-week and 2-day registration options. Contact me or Robert if you're interested!